What happens when an unstoppable force meets an immovable object? Join Tactus in exploring this age-old question through the lens of music. Through haunting harmonies of adversity and iniquity gilded by glimmers of gumption and endurance, we craft a concert that pits perseverance against providence. Our program that is simultaneously about Josquin, and not, brings together motets of Josquin, Byrd, Lassus, Victoria, and others to ask: can Determination overcome Destiny? 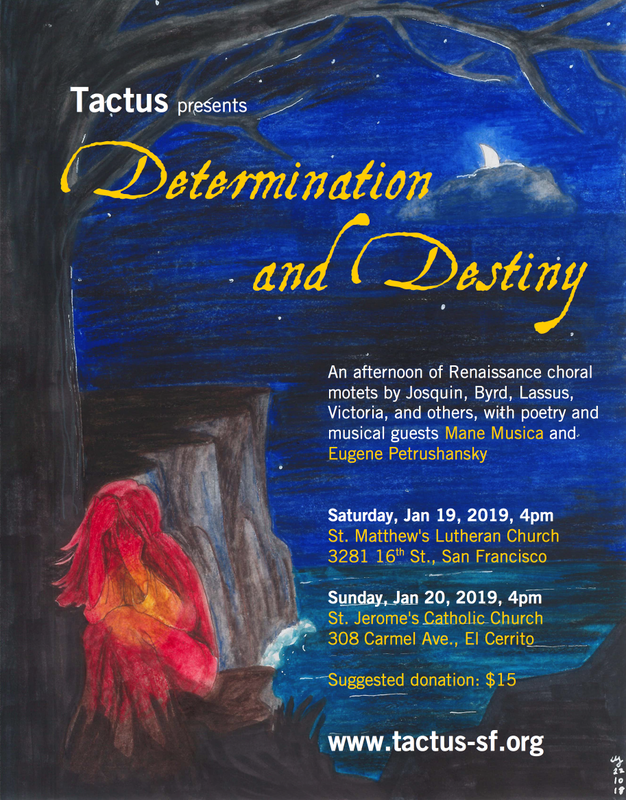 Tactus announced the winners of the poetry competition for Determination and Destiny! The three winning poems will be performed at our concerts. Congratulations to the winners, and thank you to all contestants for your participation!